These two masterpieces from the time of the brilliant Mughal civilization, which reached its height during the reign of the Emperor Shah Jahan. The elegance of these splendid gardens, built near the city of Lahore on three terraces with lodges, waterfalls and large ornamental ponds, is unequalled. 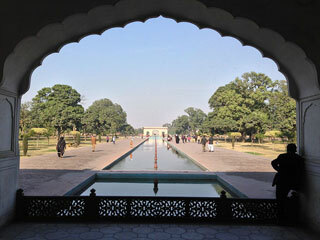 This article uses material from UNESCO World Heritage List article "Fort and Shalamar Gardens in Lahore", which is released under the Creative Commons Attribution-Share-Alike 3.0 IGO License.